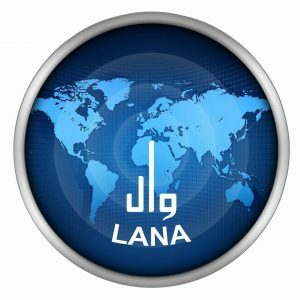 The Tripoli-based Libyan state news agency, LANA, is to launch its newly updated website within the next few days, the agency reports. LANA reported that ‘‘the modernization process is aimed at giving flexibility in the use of the site, facilitating access to information and increasing attractiveness. The update process in addition to the change in page format includes links to visual recordings of events and events, as well as to the collection of static images associated with the news’’. It also added that ‘‘the update process also includes renewing the type and size of the font and the overall shape in the page interface and updating the control panel to make it easy for readers’ browsers to quickly use and view news that is broadcast on the agency’s website’’. LANA is a very important source of ‘‘official’’ information and news on Libya at a time when Libyan state institutions including the government in Tripoli, are relatively weak and ineffective. Obtaining accurate news and fact-checking on events in Libya is very challenging. LANA has the advantage of having a large cadre of journalists/employees across Libya, which gives it a large presence on the ground. It will be recalled that LANA itself is split between the Tripoli-based entity, aligned to the internationally recognized Faiez Serraj-led Presidency Council – with its own website , Facebook page (@LibyanNewsAgencylana) and twitter feed (@lana_news (currently not operating). The eastern based LANA has its own website and Facebook page (@lananewspage) and is aligned with the House of Representatives in Tobruk, its Interim Government in Beida and the eastern-based Libyan National Army and its commander Khalifa Hafter. The two news agencies have two totally different narratives and report overwhelmingly different news stories.